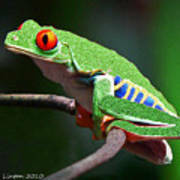 Red-eyed Leaf Frog by Larry Linton - 8.000" x 6.375"
Red-eyed Leaf Frog art print by Larry Linton. Our prints are produced on acid-free papers using archival inks to guarantee that they last a lifetime without fading or loss of color. All art prints include a 1" white border around the image to allow for future framing and matting, if desired. Thank you so much, Sharon and Nina. Very nice and so colorful! 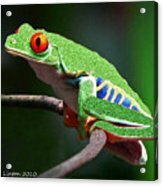 This would be a beautiful addition to the Dimensions group gallery as well as Tropical Paradise. 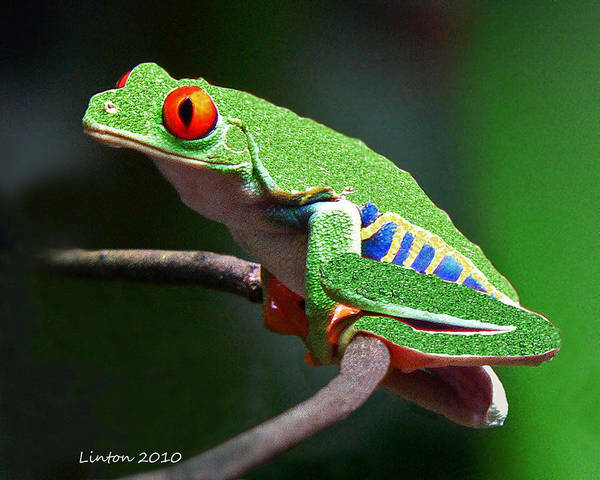 This image of a red-eyed leaf frog was captured in Costa Rica.